As many as 60 percent of women over age 70 are affected with hair loss, according to Mary Gail Mercurio, MD, of the University of Rochester. 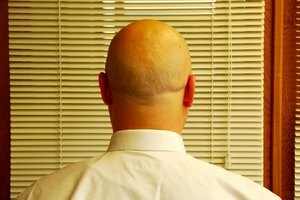 (see reference 1) The average person has more than 100,000 hairs on her head and loses 50 to 200 of them every day. New hairs replace those that are lost, but that replacement slows down and even stops as people age. While hair loss that accompanies aging is usually not reversible, proper hair care can help slow the process. Severe hair loss can be treated with minoxidil 2 percent, a topical solution that the FDA approved for female-pattern hair loss. Minoxidil prolongs hair’s growth phase, allowing hair to grow out to full density. It takes three to four months to see results, and it must be used continually to maintain new growth. Coloring gray or white hair can damage the hair if not properly done, causing even more thinning and fallout. Professional coloring with permanent or semi-permanent products can add volume to your hair. As people age, hairs that fall out are replaced by hairs that appear white because they lack a pigment called melanin. 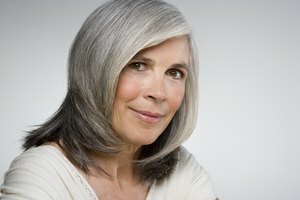 Both gray hair and badly dyed, too-dark hair can make the wearer look older. If you have been dying your hair to cover gray and decide to let it grow out, your new hair may be coarser or finer than before and require different care products. Use a conditioner and leave-on treatments regularly. Shampoos with a blue or lilac tint counteract yellowish tones in gray hair. Because your skin tone also changes as you age, your hair color should be compatible whether you choose to go gray or color. Shampoos, conditioners and leave-in products that contain volumizers can help give more body to thin, fragile hair. Volumizing hair mousse is particularly helpful for older women’s hair. Daily shampooing is not necessary and can lead to excessive hair loss. Shampoo only when necessary, and massage your scalp gently with your fingertips. Increased breakage may result as the hair becomes finer and more fragile. 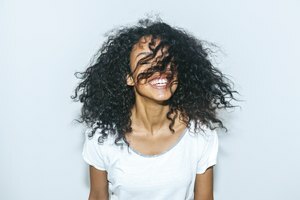 Over-processed or heat-damaged hair is subject to breaking and frizz. Use blow dryers sparingly and use the coolest setting to avoid damage. Let hair air dry whenever possible. Curling irons and flat irons should be avoided. If hair is healthy and not over-processed, a professionally done body wave can add volume to fine hair. 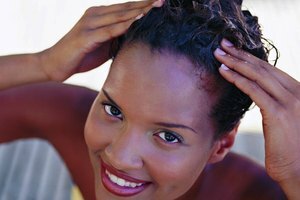 Stick to easy to care for hairstyles, and avoid ponytails, braids, tight chignons or other styles that pull on the hair. Gentle brushing with a soft-bristled brush right before a shampoo helps remove loose hairs, but daily brushing is not necessary and can be harmful. Regular haircuts can eliminate the split ends that travel up the hair shaft and result in breakage. 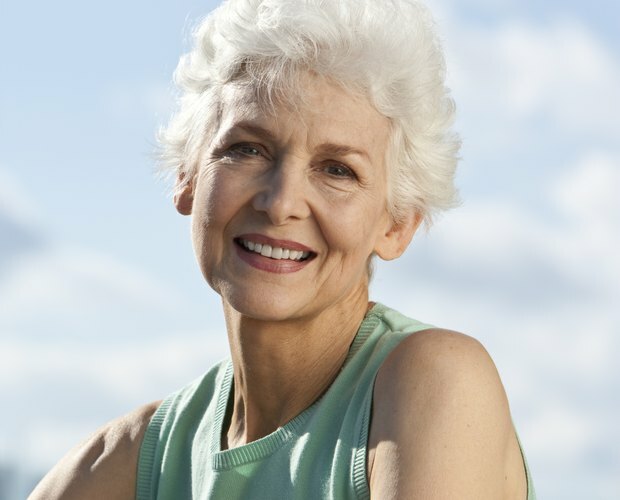 While ageing is itself a contributing factor to hair loss in women, other causes include vitamin deficiencies, skin conditions such as eczema or psoriasis, and thyroid problems. Senior citizens are particularly prone to nutritional deficiencies due to poor diets, leading to shortages of certain vitamins. Multivitamin supplements containing biotin can help with hair loss. Certain medications often taken by senior citizens, including beta-blockers, anti-clotting and cholesterol-lowering drugs, antidepressants, NSAIDS, antibiotics and some high blood pressure medicine, can cause hair loss. Emotional stress, surgery or severe illness may shock the system, resulting in hair loss within months. The body goes into emergency mode to deal with the stress, so hair enters a resting phase and falls out in clumps.